The evangelist Matthew (Matthew 1:8 ) mentions him immediately after his great-great-grandfather Jehoram in the genealogy of ancestor of::Jesus Christ, thus skipping three generations. The dates of his reign, and of alleged viceroyalties served by him under his father Amaziah and by his son Jotham under him, are in dispute. This dispute stems indirectly from an attempted synchrony of a king of the Kingdom of Israel (Jehu) with an Assyrian ruler (Shalmaneser III). More to the point, he had a prosperous reign, and then did a foolish thing that made him an immediate outcast and cursed the next two generations of kings of the Kingdom of Judah. Uzziah was the son of Amaziah and Jecoliah of Jerusalem. According to Ussher, he was born in 826 BC when his father was thirty-seven years old. Thiele's original dissertation left the question of Uzziah's birth open, leading to a seemingly impossible situation (see below). Leslie McFall, in an attempt to repair Thiele's oversight, suggests that Uzziah became viceroy of the Kingdom of Judah at the age of sixteen—and must therefore have been born in 809 BC, when (in the Thiele system) his father was twelve years old. This is possible, but implies that Uzziah's grandfather Joash would have found a wife for his son while the son was very young. This, however, is the least of the difficulties with the Thiele system. Uzziah married Jerushah, daughter of Zadok II, and by her had his son Jotham. This marriage took place in or before the year 783 BC (Ussher) or 775 BC (Thiele). This would make Uzziah either 43 years old (Ussher) or 34 years old (Thiele) at the time. This last would also mean that Uzziah made his marriage while he was still viceroy under his father (see below). Thiele assumes that Uzziah became viceroy of the Kingdom of Judah under his father Amaziah fully twenty-four years before his father's death. This is because the death of Amaziah, and the "beginning of reign" of Uzziah, are twenty-four years out of synchrony in the Thiele system. Larry Pierce tartly observed in 2001 that a strict read of Thiele's original dissertation would lead one to believe that Uzziah began his viceroyalty fully eight years before he was born. Subsequently, Leslie McFall suggested a corrective: that Uzziah actually became viceroy at sixteen and began his lone reign only after his father had died. But Pierce, in his direct reply to McFall, retorted that the verse discussion Uzziah's succession (see below) says that "the people" acclaimed Uzziah, who was sixteen years old at the time, as king. This, says Pierce, would imply that "the people" somehow elected Uzziah as viceroy under Amaziah, and that four years after Amaziah took the throne himself. Viceroys, Pierce continues, do not gain their offices by popular election but by direct royal appointment. This, therefore, makes the Thiele/McFall interpretation of 2_Chronicles 26:1 difficult-to-untenable. Uzziah's accession (or, in Thiele's system, the beginning of his sole reign) followed a great tragedy. King Amaziah realized that certain persons in his administration were plotting to kill him. He fled to Lachish, on the Philistine border—where the remains of a high place stood as recently as 2003. There the conspirators caught up with him and killed him. They brought him back on horseback, and he was buried in the sepulchres of the kings in Jerusalem (2_Kings 14:19-20 , 2_Chronicles 25:27-28 ). In any event, Uzziah moved swiftly to secure his country's border. He rebuilt the town of Eloth and stationed a garrison in it. (2_Chronicles 26:2 ) Then he declared war against the Philistines, successfully attacked the three Philistine city-states of Gath, Jabneh, and Ashdod, and even built military outposts in Philistine territory. He scored similar victories against Arab and Mehunim forces. The Ammonites paid him tribute, and his fame spread as far south as Egypt (2_Chronicles 26:6-8 ). The Chronicler gives many details about Uzziah's military strength and the extensive armament industry and public works projects that characterized his reign. He would not seem to have tolerated a continued 160-meter breach in the wall of Jerusalem. The Chronicler specifically mentions the fortified anti-siege towers that he built at the valley gate, the corner gate, and at the corner of the wall (2_Chronicles 26:9 ). Uzziah also built several military outposts in the desert, and also built several water projects (2_Chronicles 26:10 ). Much of these water projects were for the benefit of the royal cattle herd and the multiple farms and vineyards that were royal property at the time. The army was 307,500 strong, with an officer corps of 2600. Uzziah kept these well-supplied with an armaments industry that furnished them with shields, spears, helmets, body armor, bows, and slingshots. (2_Chronicles 26:14 ) By far Uzziah's most interesting contribution was his invention of siege engines, and specifically the first crossbow catapults and ballistae known to the ancient world. He placed these in the fortifications he had built along the wall of Jerusalem and throughout the desert. (2_Chronicles 26:15 ) Most military historians hold that siege warfare began in earnest in the wars of ancient Greece, but typically they propose that the first use of siege engines was in 429 BC. The Bible suggests that these historians ought to revise their theories—unless, as some have suggested, the first siege engine was a battering ram used at Troy and nicknamed "the Trojan horse." Wood states that Tiglath-Pileser III specifically recognized one "Azriau of Yaudi" as the leader of an anti-Assyrian coalition well able to resist Assyrian expansion. However, Tiglath-Pileser is out of synchrony with Uzziah, according to Ussher. According to Jones, the Assyrian rulers contemporary with Uzziah were Ramman-Nirari III and Shalmaneser IV. Uzziah ought to have read that aphorism by his ancestor Solomon. Toward the end of his reign, perhaps in his forty-second year, he indeed became proud and haughty, so much so that he conceived a notion of officiating at a Temple rite. The high priest Azariah gathered eighty priests behind him and confronted Uzziah. Azariah told him that he had not been consecrated to burn incense before God, and that he needed to leave the nave at once. Uzziah indignantly refused and, censer in hand, attempted to proceed. Uzziah never recovered from his leprosy. He spent the next years of his life in quarantine. His son Jotham administered the affairs of state in his place as pro-rex (2_Kings 15:5 , 2_Chronicles 26:16-23 ). Thiele suggests that Jotham may date his reign from that time, and also calculates that this incident occurred ten or twelve years before Uzziah's death, because in that year, Uzziah needed to make him his viceroy. Ussher, however, dates Jotham's reign from the date of Uzziah's death. However, Ussher seems to agree that Uzziah fell from grace in or near the forty-second year of his reign, which was three years after the accession of King Menahem to the throne of the Kingdom of Israel. Uzziah died in either 758 BC or 742 BC, at the age of sixty-seven. His son Jotham undoubtedly became viceroy at least ten years earlier, at the age of fifteen. ↑ 2.0 2.1 2.2 2.3 Jones, Floyd N., The Chronology of the Old Testament, Green Forest, AR: Master Books, 2003, Chart 5. ↑ 9.0 9.1 9.2 Authors unknown. "Entry for Uzziah." WebBible Encyclopedia. Retrieved June 8, 2007. ↑ 10.0 10.1 10.2 10.3 John Argubright. "King Uzziah." Bible Believer's Archaeology, Vol. 1: Historical Evidence That Proves the Bible. BibleHistory.net, 2007. Retrieved May 28, 2007. Requires PDF reader. ↑ 11.0 11.1 11.2 11.3 Authors unknown. "God's Judgment Regarding King Uzziah." 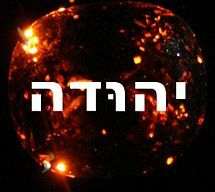 The Kings of Israel, hosted at http://www.geocities.com/ Retrieved June 8, 2007. This page was last modified on 13 November 2013, at 02:04.